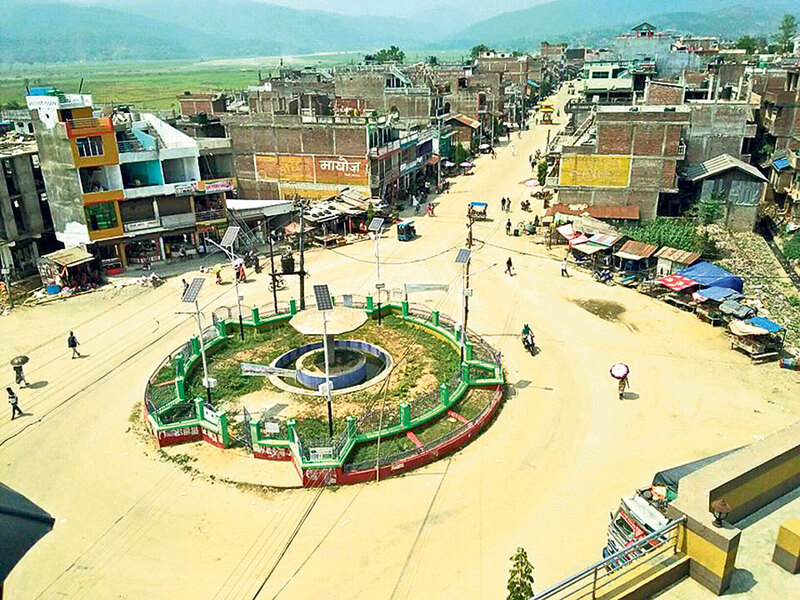 UDAYAPUR, June 4: With the arrival of summer, water crisis in Katari of Udayapur has deepened. Though water was always scarce in Katari market and nearby areas, even drinking water has become a challenge now. “We have been very unlucky about water. It is the most important thing in order to keep clean. Our hygiene, lifestyle largely depends on it, but water is never enough here,” lamented Benuka Rai, a resident of Katarai market. “In summer, the crisis becomes even more acute,” she added. According to locals, water sources have significantly dried up in the area in the last one decade. Though there are taps around the town, they run dry in summer. “Now, in this season, water woes really bother us. We have to manage whole one week with few buckets of water,” said Rai. She added that some in her neighborhood are even thinking of migrating to other places because of the water crisis. Residents of the Katari Municipality struggle with the crisis in all seasons, though it is severe in summer, they say. “Forests in the municipality have been destroyed and its rivers are polluted. Water taps are mostly dry. I don’t know what will happen in future. How will our children will cope with the water shortage here?” she wondered. Rai further claimed that the water fetched from reserve tanks managed by the government is not drinkable. “They don’t process the water in the reserve tanks. It’s polluted, but many drink it without filtering and they get sick,” she commented. It is common for the people of Katari and elsewhere in Udaypur to drink river water. According to Katari Municipality Office, it is natural that rivers are polluted during the rainy season, and water is not drinkable. “But we are planning to do something about it. Donors are ready to help, we are launching safe drinking water project,” said its Mayor Gyanendra Shrestha. “We are planning short term and long term projects to address the issue of water scarcity,” he added. He indicated that District Coordinating Committee (DCC) has been trying to expedite drinking water project with the support of international donors. Meanwhile, Chief of the DCC, Khadka Pariyar urged people to filter or boil water before drinking. Stating that the district is still largely dependent on river water and it would take some time for resolving the crisis, he urged people to purify water before drinking. “Water problem is not new in Katari. New drinking water projects are in the pipeline. So while authorities work on these new projects, we all must purify water before drinking it,” he said.